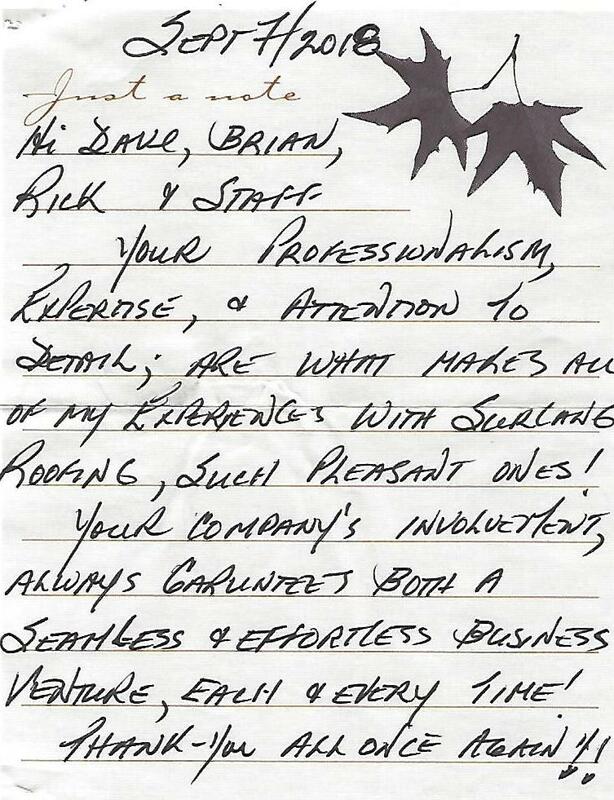 We at Surlang Roofing are so grateful with the last Customer Appreciation Letter we’ve received from one of our happy customers. Surlang Roofing team enjoys working with our customers and feel honored to be their choice for roofing services. We always do our best to continue to meet our customers’ needs & expectations. The growth we’ve experienced over the years is because of customers, who faithfully support our business. We appreciate our customers’ trust, and we’ll do our best to continue to give them the kind of service they deserve. Thanks again to Surlang Roofing customers!